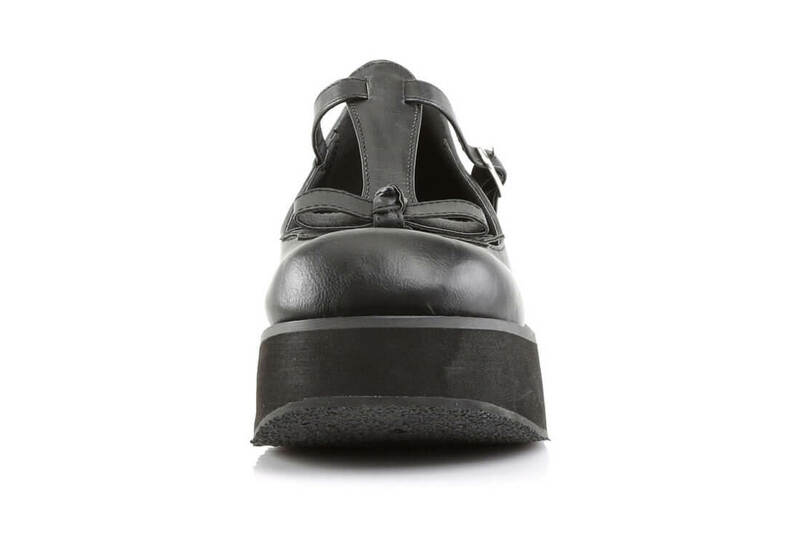 These black veggie leather platform shoes have a light weight 2 1/4 inch platform. 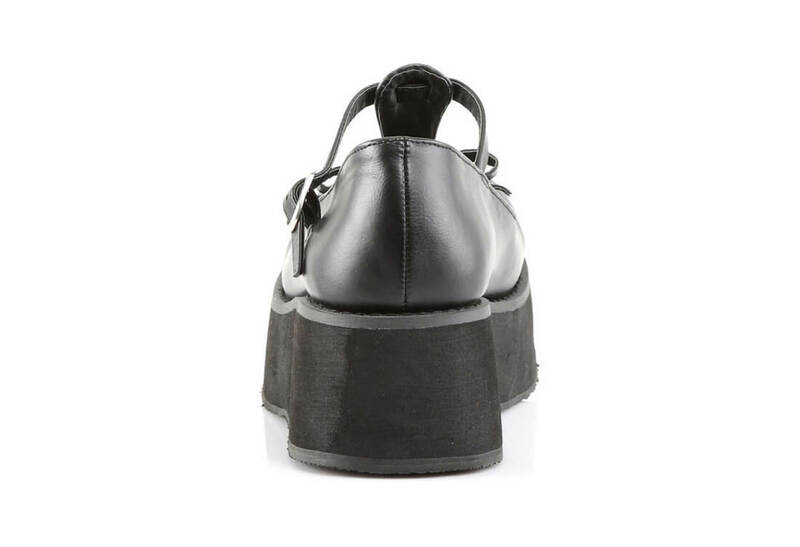 The front of the Sprite-03 has a T strap with a single buckle. On the toe is a single black bow.